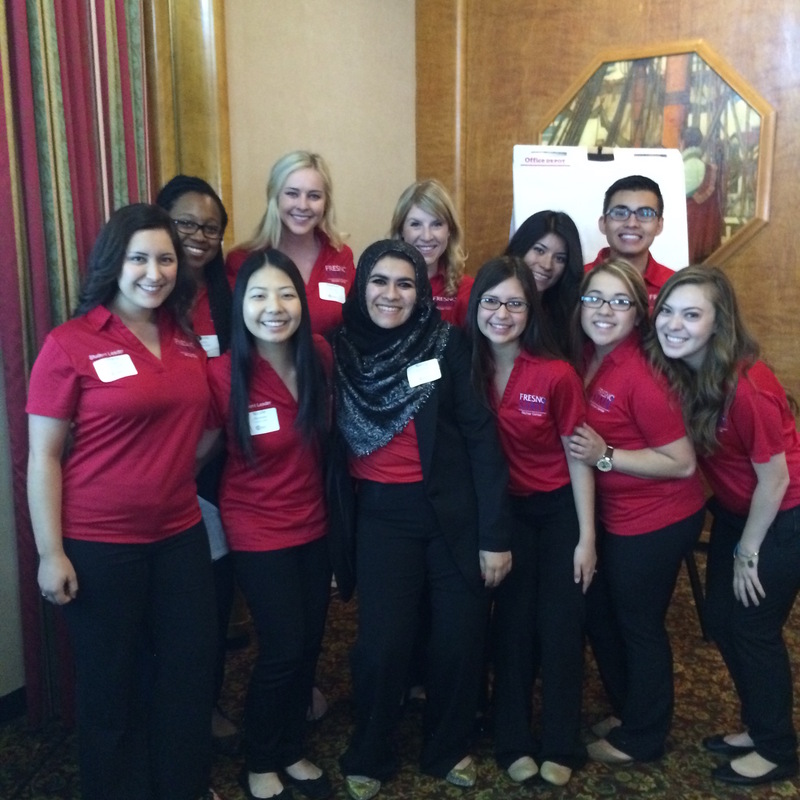 The Richter Center Ambassadors just before presenting at COS 2015 in Long Beach. As Richter Center Ambassadors, it is our job to involve students in community engagement and service-learning. We are the resources, facilitators, promoters, and role models for community service, and it is our duty and passion to spread the word about the importance of service in any way that we can. For the past several years, Ambassadors have had the opportunity to share their work on a regional stage at the Annual Continuums of Service conference. our national community of civic engagement in the form of a presentation that we create in the weeks leading up to the conference. Continuums of Service (COS) is a conference in which people from universities all over the western United States get to share their experiences of service-learning, and we can mindfully engage in the spirit of service. At Fresno State, students play a strong role in community engagement, and being able to share our success with others was an incredible experience. In our presentation, we spoke about the past, present, and future of the Richter Center Ambassadors. In other words, we explained what the Ambassadors consisted of when we were first established in 2008, how we transformed into what we are now, and what former Ambassadors have moved onto. Many people who attended our presentation shared positive feedback and wanted advice from us on how they could improve their service based programs. All of this positive feedback reaffirmed my commitment to the Ambassador program. In order to create our presentation, we had to reflect on the work we had done during the course of our term in the Ambassador program. It really made me think of how much I have grown during my time with the Richter Center, and why I love what I do so much. Many of the people who attended the conference recognized us for the remainder of it because we did such a good job of portraying how important our individual roles are in engaging other students, faculty, and staff in service-learning. 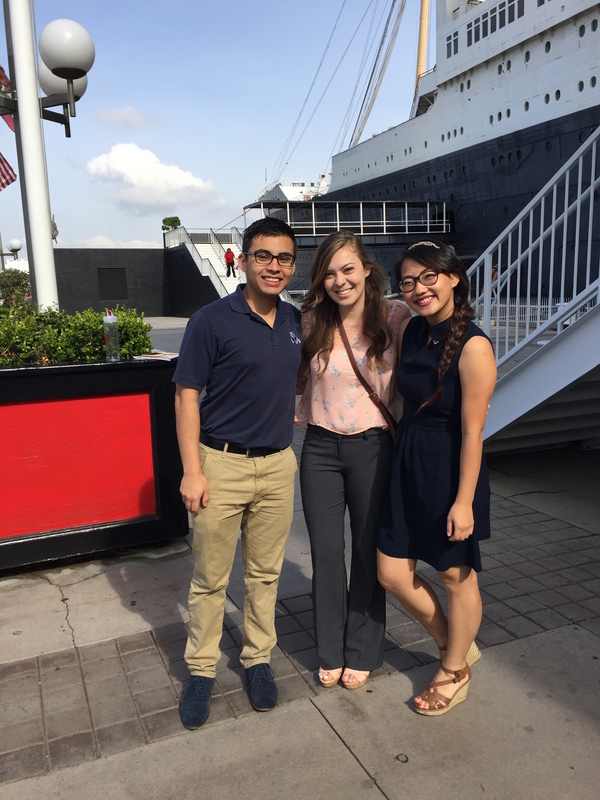 Ambassador Alex (center) with her fellow Richter Center Student Leaders (Juan and Cora) at the Queen Mary in Long Beach. If there is one thing I have learned, it is that the students that make up the Richter Center Ambassadors are passionate about what we do and that was clearly shown when we represented Fresno State at COS. Being able to articulate our service experiences to others is just as important as implementing them, I’m glad that I was able to do so with my fellow Ambassadors. Not only were we able to work as a team to present to others the importance of what we do, but we also got to learn from others at the conference as well and will continue to expand and improve our program. This was my first year attending COS, and I learned so much not only from the other presentations I attended, but also by working alongside my fellow ambassadors. I can’t wait until next year! We are currently recruiting Ambassadors for the 2015-16 academic year (as well as Reflection Facilitators and SERVE Committee Members). Applications are due this Friday at 12:00 PM. Visit the recruitment section of this blog to download an application and learn more about each of the positions. What do you love about service? How do you share your story? This post is different from some of the ones I’ve have done in the past. Today, I’m sharing an interview with one of my peers in the Richter Center Student Leadership (RCSL) team. Hannah Poore has been a part of RCSL group for one year where she has been a member of the SERVE Committee. Here is a little insight into her sweet journey with us. Thanks, Hannah, for contributing your story to our blog! What’s your major and career goal? My major is Mass Communications and Journalism with an emphasis in Public Relations, and I’m minoring in Sociology. My career goal is to do public relations for a socially-minded company whose cause I love and support and want to spread the word of! 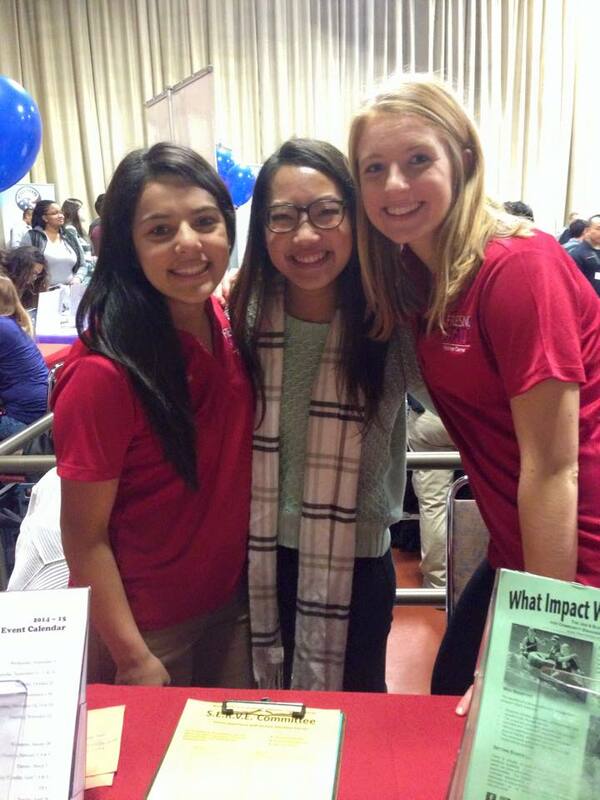 Hannah Poore with fellow SERVE Committee members (Sharon Leyva and Cora Cha) help out at the Spring Community Service Opportunities Fair. What role do you play in RCSL? For the SERVE Committee, I’m on the Public Relations and Marketing Committee. I create content for social media, help to make flyers advertising our one-day service events, and spread the word about our service events to media sources like the Bulldog Blog and the Collegian in order to make volunteers aware of the opportunity. I heard about RCSL in [a class], from [RCSL members]. Specifically, Alexi Kimura encouraged me to attend a Richter Center Ice Cream Social at the end of my freshman year, and when I met the RCSL team there, I knew I wanted to join and work with them on their awesome service events. What has been your favorite part about being part of this team? My favorite part about being on this team has been getting to know the girls! I look forward to our weekly meetings, and I’ve made some really special friendships through RCSL. Yay! I joined this team because I’m passionate about service and making the world a better place, and all of you (SERVE, Richter Center in general) are too! It’s amazing! I love being around such positive and helpful people! It is so refreshing, and it’s wonderful to see our team’s work paying off at service events. I also love spreading the joy of service to others, like volunteers who attend our service events or people I talk to at tabling events, because it really is such a source of joy in my life, that I want others to know about it! Have you considered being a part of the Richter Center Student Leadership group? If you want more information, please contact us fresnostaterca@gmail.com. It’s official! 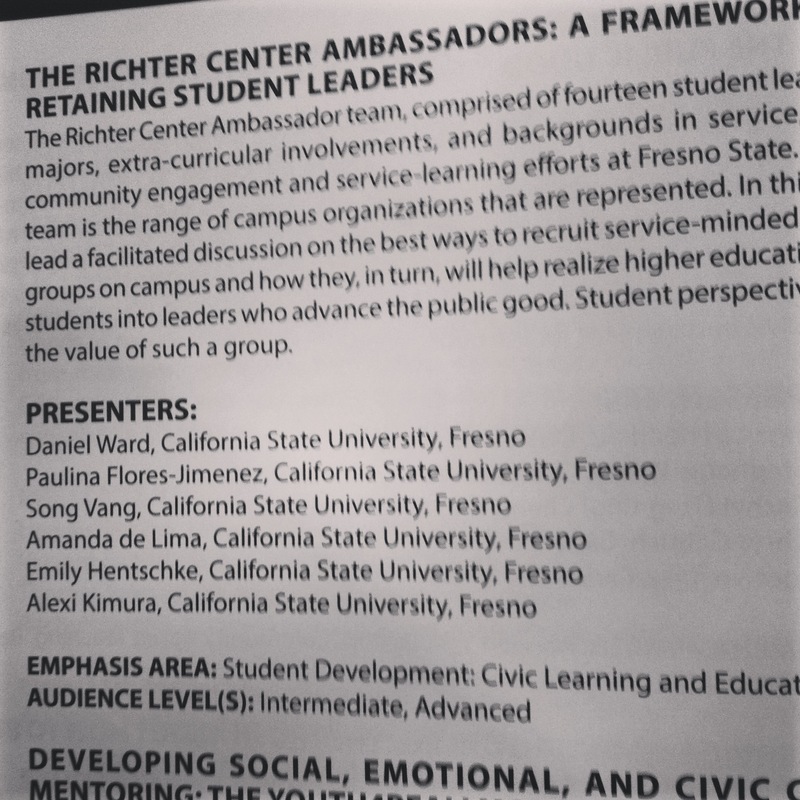 The Richter Center Ambassadors’ presentation as listed in the conference handbook. The Richter Center Ambassador team traveled to Portland, Oregon last week to present at the 16th Annual Continuums of Service Conference. Six of us made the trip and delivered a student-led discussion of ways to increase the impact of student volunteers at institutions of higher education. My fellow Ambassadors Alexi Kimura, Song Vang, Paulina Flores, Emily Hentschke, Amanda de Lima and I presented The Richter Center Ambassadors: A Framework for Recruiting and Retaining Student Leaders to a packed conference room. Two of our peers from the Richter Center S.E.R.V.E. Committee – Oshea Carter and Bianca Mancilla supported us from the audience. We all found the conference to be very beneficial as we were able to learn about all the other awesome things going on in the world of community service in higher education. We are already making plans for presenting at the 17th Annual Continuums of Service Conference in Honolulu, Hawaii in April of 2014. Visit the Washington Campus Compact website to see conference highlights and a list of the presentations. All hands in! The team is ready to present. If you are interested in what the Ambassadors work to achieve at Fresno State and wish to further your leadership skills and commitment to service, please consider applying for one of the Richter Center student leadership positions. The S.E.R.V.E. 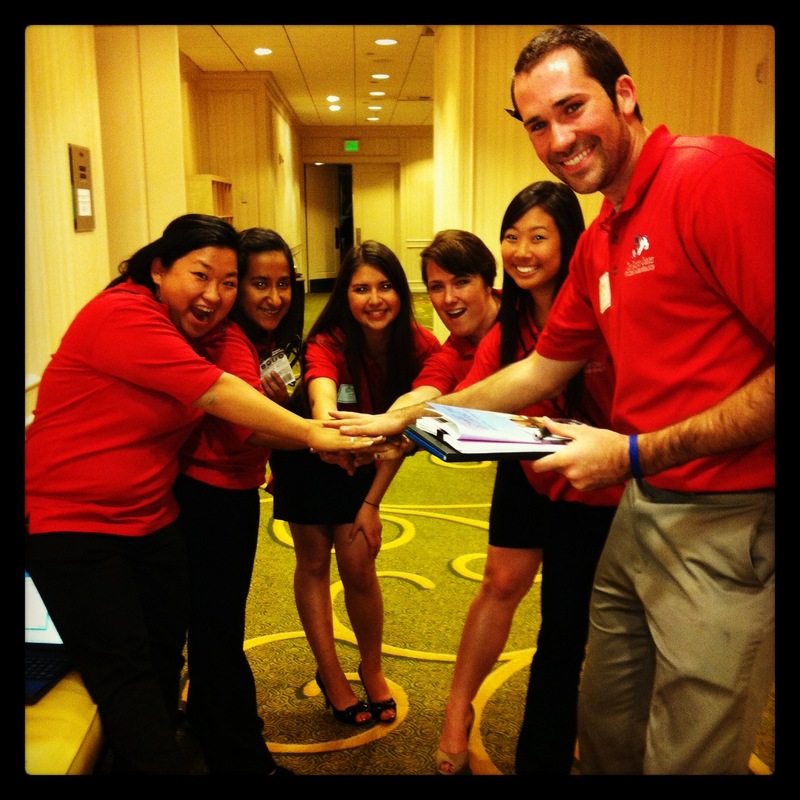 committee plans and coordinates service events for Fresno State. The Reflection Facilitators lead a meaningful reflection of the days’ work at the various one-day service events held throughout the academic year. 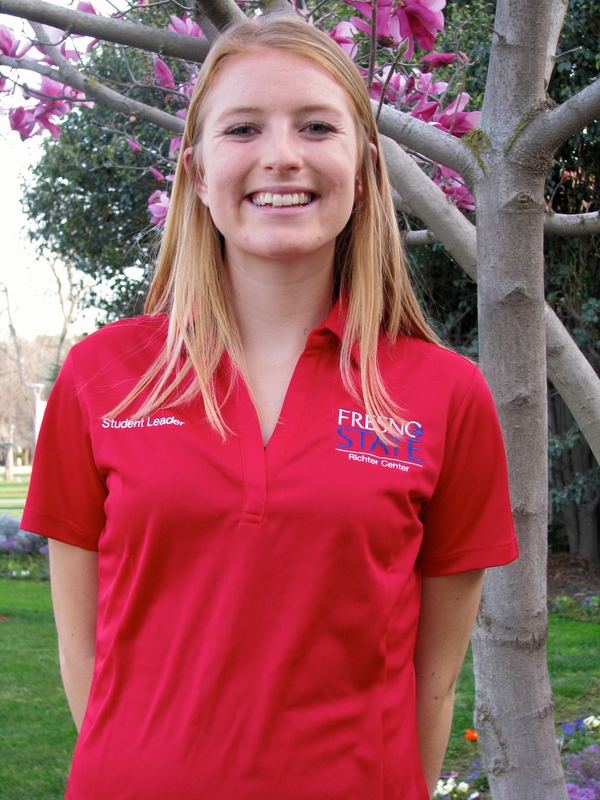 And the Ambassadors, of course, promote service work to the Fresno State community and serve as liaisons between students and the Richter Center. 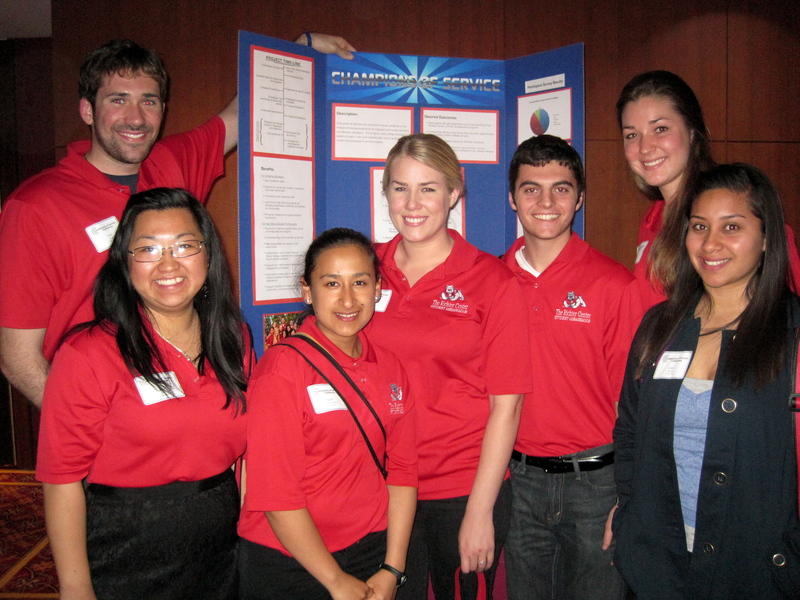 Applications can be obtained at fresnostaterca.com/recruitment/ and must be turned in by Wednesday, May 1st. The Richter Center Ambassadors are at it again! In a few short weeks a group of six Ambassadors will travel to the 16th annual Continuums of Service Conference in Portland. In February, we received the good news that we would have the opportunity to present at the conference, the theme of which is ‘The Engaged Campus: Higher Education for the Public Good’. The COS conference is the largest higher-education community service-learning conference in the United States and the we are very excited to present a 75-minute interactive talk entitled The Richter Center Ambassadors: A Framework for Recruiting and Retaining Student Leaders. The Ambassador team is also very excited to learn about the new trends and best-practices in community engagement and service learning so that we can bring these ideas back to campus and become even more effective leaders and champions of service. Please wish us luck and, if you happen to be in the Portland area, consider stopping by the Portland Marriott Downtown Waterfront hotel, Salon B, at 3:45 on Thursday, April 25th to see us in action. If you are a Fresno State student and you are particularly interested in the work we are doing as Ambassadors (including our travel opportunities) then be sure to stop by the Recruitment Mixer this Friday, April 19th at 3:00 PM in Library, room 3212. Learn more about recruitment here.